Though tiling can tend to lose its lustre over time, cleaning porcelain tiles is a relatively simple process. That said, there are some important factors to bear in mind before deciding on a cleaning strategy, such as whether the tiles are polished, textured or bare. Regular cleaning (once or twice weekly) is the best way of preventing build-ups of dirt and unsightly stains from spreading. This can be accomplished with a simple sweep and vacuum to remove debris, followed by mopping with warm water. However, when dirt gets out of hand, more extreme action can be required. Here are our top tips for cleaning porcelain tiles. Sweep the tiled area with a microfibre mop – pay particular attention to the edges of the room where dirt is most likely to congregate. Apply a solution of cleaning fluid and hot water. Read the directions on the label and test any product in a small area first before using on the entire surface. Leave to stand for up to ten minutes, following the directions on the label. Scrub the area with a soft nylon brush. Wipe away the dirty cleaning residue with clean warm water. Though unglazed porcelain tiling is notoriously stain resistant, stains can and often do build up over time. To tackle tricky areas, repeat steps 2-4 as required. 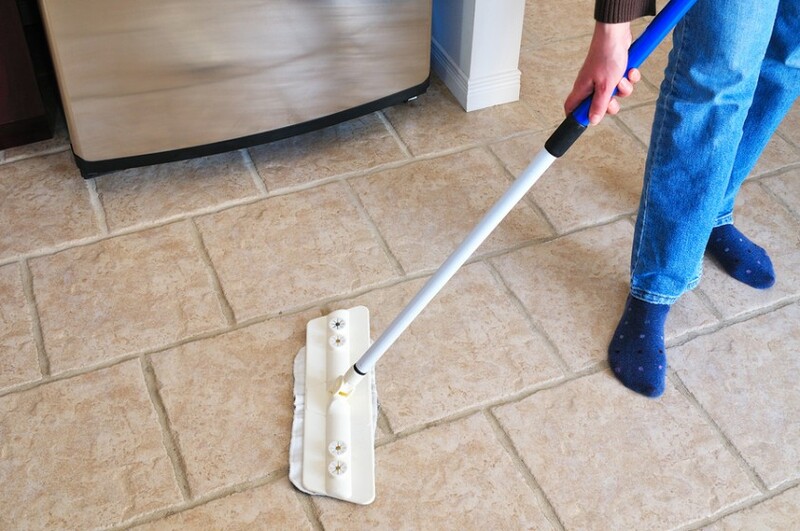 Cleaning polished porcelain tiles can seem a daunting task; fortunately, help is at hand. First you’ll need to choose your cleaning product. You have three main options – whichever you choose, make sure to follow the directions on the label and test it in a small area first. Multi-purpose household cleaners or floor cleaning products or disinfectants – just follow the directions on the label, as most products will need to be diluted before use. We recommend products by Cif. Bespoke porcelain tile cleaners – though likely to be a slightly more expensive option, these solutions can be highly effective. A white vinegar and water solution can also be used to target stains. Whichever product you decide to use, it’s imperative to make sure that the room in which you are cleaning is well-ventilated and that any excess products are rinsed and removed as part of the cleaning process. 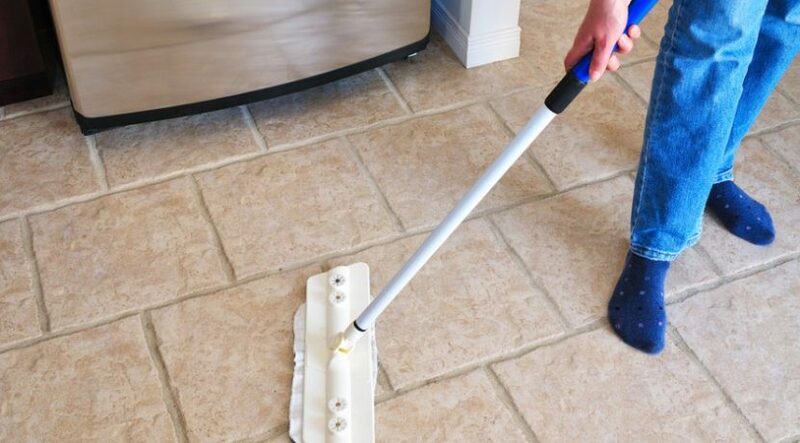 Sweep the tiled area and vacuum up any loose debris. Go over the area with a dry mop. Mop the floor with a sparing quantity of warm water – do not allow water to pool. Loosen stubborn stains with a soft nylon brush. Mop again using your chosen cleaning agent (see list above). Dry with a microfibre cloth and buff for a brilliant finish. Remember: before using any new cleaning product or method, make sure to test it on a small, inconspicuous area of tiling first.